Clean, crisp, and in this case, striped. 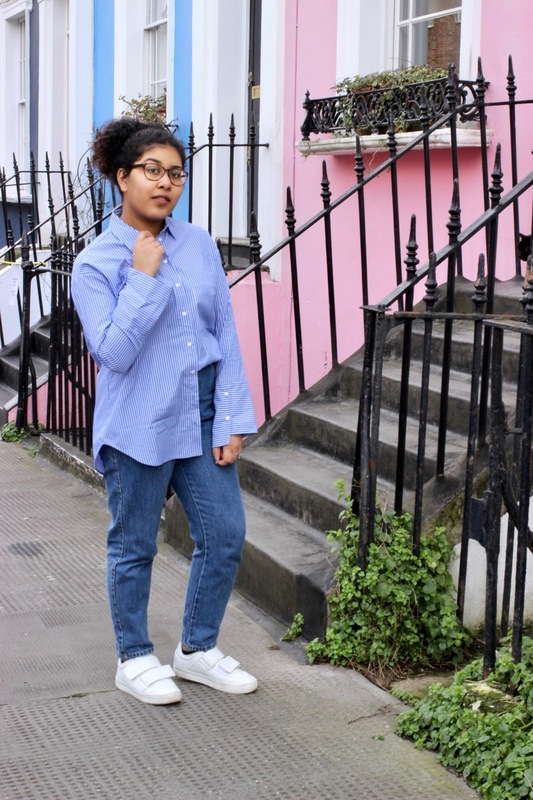 The classic shirts have returned but come in different, almost innovative styles that change the once boring item into a fun and fashionable must-have piece this spring. 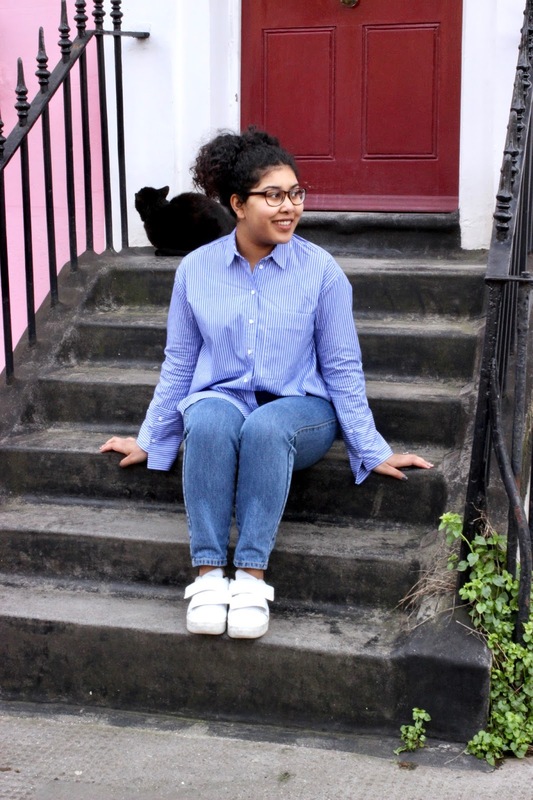 This lovely Topshop shirt has the deep cuffs that slightly resemble the major wide-sleeved trend. I love that it is well oversized, so much so that I even had to go down a size to avoid looking like I was just consumed by a shirt! 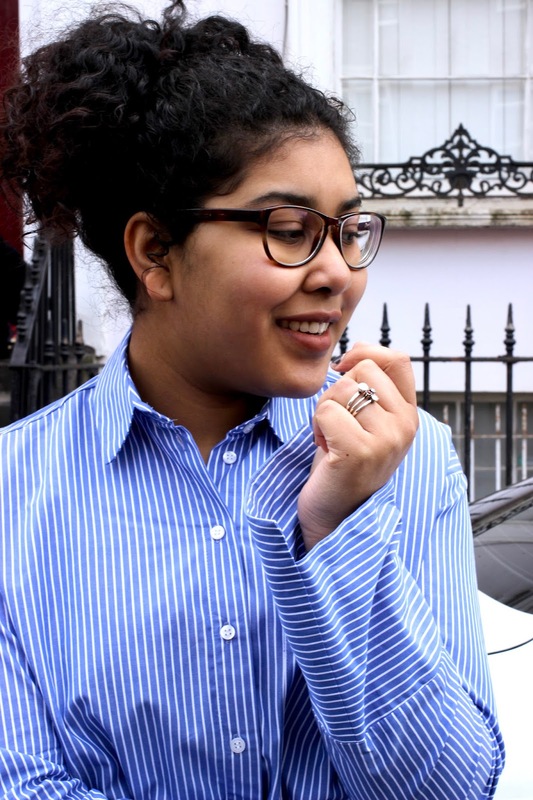 I had been searching for the perfect stripped shirt for years and I am so pleased to tell you that I finally found it. 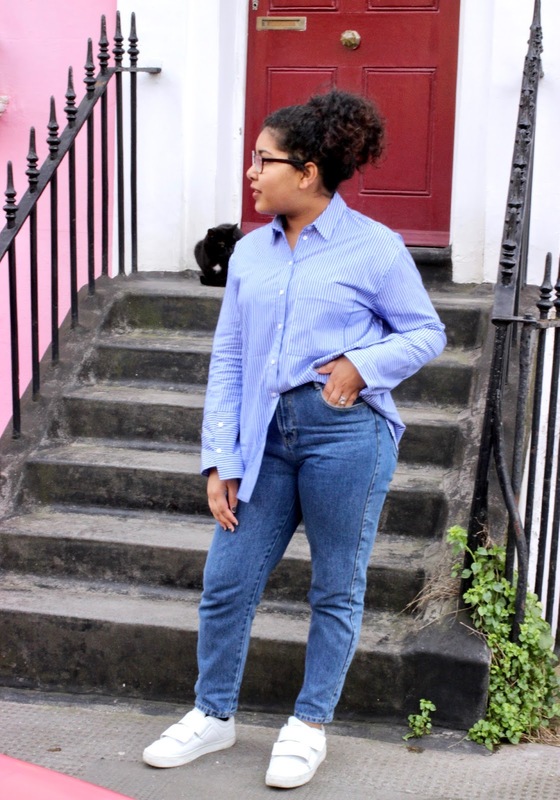 This season sees many of the once boring shirts transformed into catwalk-worthy garments, from cut-outs to puffy sleeves, there is a perfect shirt out there for everyone. 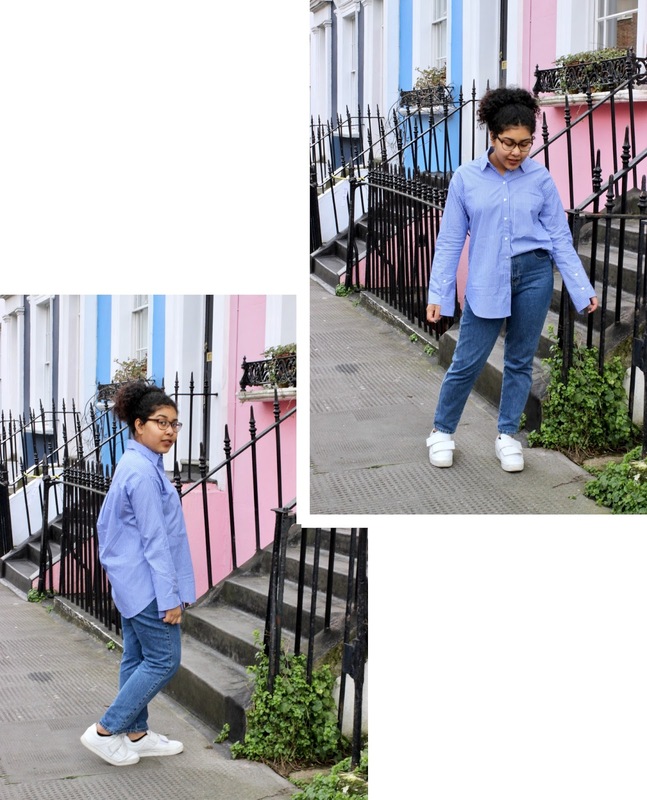 This casual look was perfect for some exploring in London, I love how effortless the shirt looks tucked into a pair of mom jeans and paired with some minimal white sneakers. I’ve already worn the shirt quite a few times to the office and on days off, it is an item that I am sure I’ll love for many years to come.